When people think of pollution, they often imagine clouds of smoke and fumes in an outdoor environment. However, pollution is also a problem inside people’s homes. Even if you do not notice any obvious issues with the air in your home, you might find that you tend to get sick often or feel distracted and tired while at home. Being able to improve air quality inside can help boost your overall health and make your home a better place to live. How Can You Make Your Home’s Air Quality Better? There are several different ways to boost air quality in the home. You can use various methods to remove pollutants, filter the air, or add in fresh air. Here are a few easy and effective ways to improve air quality inside. 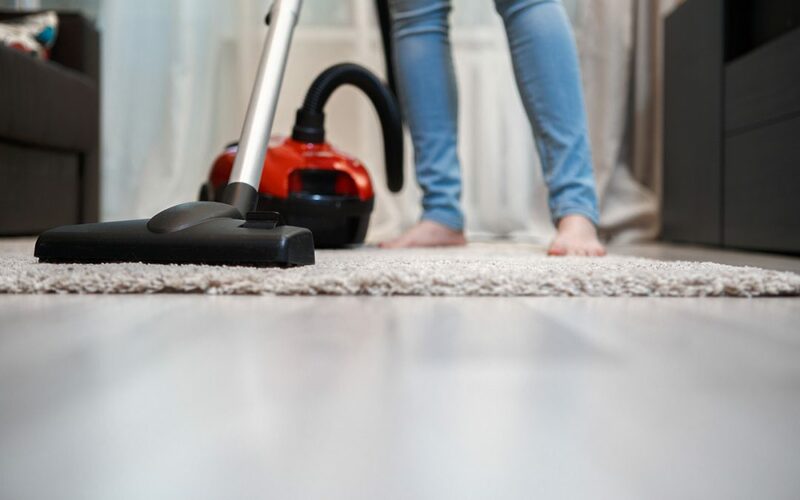 Volatile organic compounds are a type of chemical used in everyday items like personal care products, paint, fuel, furniture, and cleaning agents. These chemicals are considered safe for use by manufacturers when they are inside of manufactured goods, but unfortunately, they easily break away and become particles in the air. This can lead to high levels of chemicals linked to breathing problems, headaches, and eye irritation. Try to select products that do not contain VOCs to help improve air quality inside. Plants are a great way to improve air quality inside because they absorb problematic particles and release fresh oxygen. The most effective plants are ones with plenty of leafy green surface area, such as ficus, lily, and bamboo. Even those without a green thumb can select a sturdy and durable plant, such as the cast iron plant or snake plant, to clean their indoor air. According to the Environmental Protection Agency, indoor air quality is worse than the outdoor air even in big, industrial cities. Therefore, it is a good idea to regularly air out your home and get more fresh air inside. To make sure that you get as much pure outdoors air as possible into your home, try to open a couple windows or doors for a short time every day to get a good cross flow of air circulating. Many older homes use paint and insulation that contains lead, asbestos, and other dangerous toxins that can get into your air and cause problems when breathed in on a daily basis. Unsafe radon levels are common and the gas occurs naturally, so every home should be tested for radon. Having mold in your home is also detrimental to indoor air quality, so hire a professional mold inspector if you have concerns about mold in your home. Dust, dust mites, and pollen can make it even harder to breathe inside of your home. To reduce the chances of having dirty air from these pollutants, take the time to regularly clean your home. Vacuum, mop, and sweep at least once a week, and more frequently if you have pets. Regularly dust everything in your home, including tops of doors, window sills, fans, and other nooks and crannies. It is also a good idea to wash sheets, blankets, and curtains often since they tend to collect dust. HomeVantage Home Inspections offers home inspection services, including mold and radon testing services. Addressing mold and radon issues in the home helps improve indoor air quality. Contact us to book your appointment.